Magna Cartas united for anniversary Jump to media player The four surviving original copies of the Magna Carta are brought together for the first time in a display at London's British Library. Clues to King John's lost treasure Jump to media player Laser technology is providing fresh clues about the mysterious disappearance of King John's lost treasure and where it could be hidden. 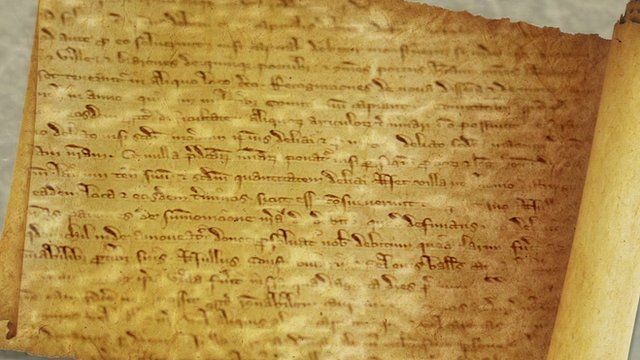 What is Magna Carta and why is it so important? It is the most famous document in history - Magna Carta - and it was sealed 800 years ago today. This humble piece of parchment is celebrated for creating the very concept of human rights, the idea that "all men are equal". But what exactly is Magna Carta? And who was it really written for?